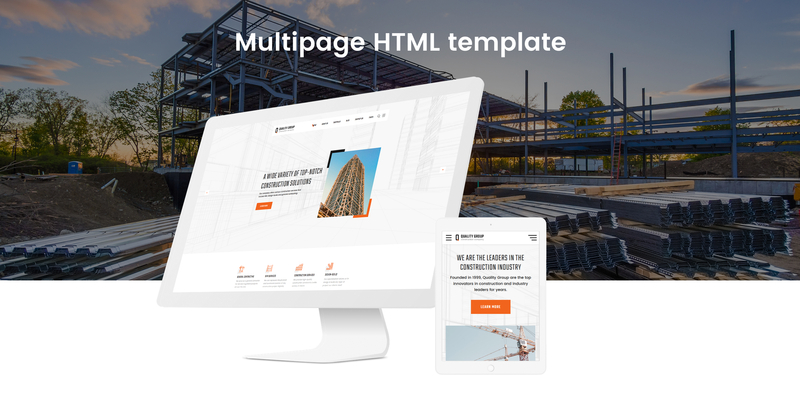 Short description: Easily adjustable, fast and reliable, this Construction Company Clean Multipage HTML5 Template will help you to make a website for your company that will never let you down. It will allow you to start your business with a fully-functional website. With this template, you'll get different layouts with multiple ready-made pages. This template offers endless website customization possibilities. 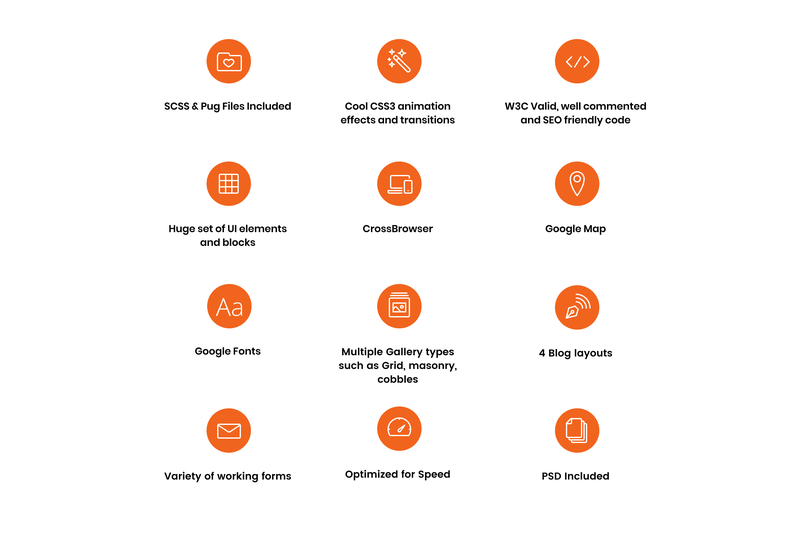 Made by the team of professionals, this template has everything that an average construction company needs for its website. The design and implementation of the layouts are very interesting. There are various variants of color schemes. The template is excellent for companies that are engaged in the construction business. This template is also cross-browser, which allows it to work normally in all modern environments. 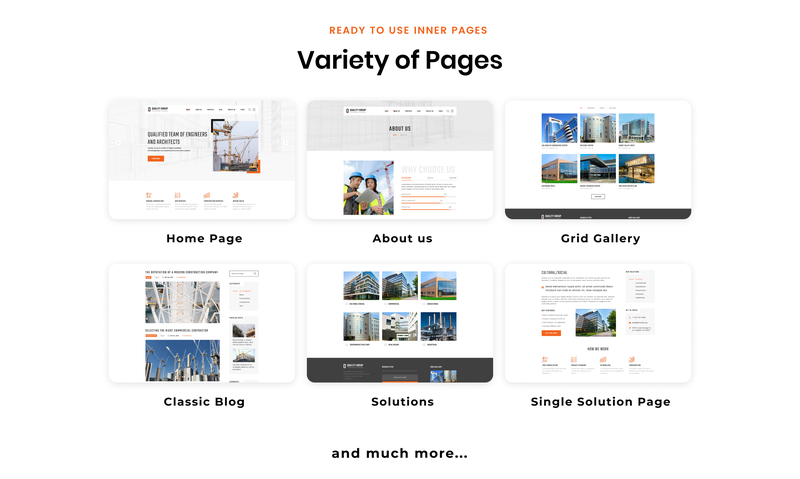 It's very high quality and adaptive template for a construction company website.